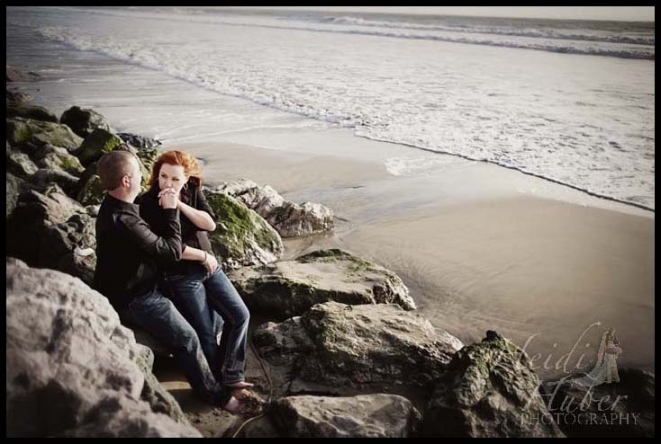 After digesting my Thanksgiving dinner Thursday I met up with Kristy and Chad for their Half Moon Bay engagement session. Friday was a pretty crazy day as driving down off the Donner Pass down to San Francisco was crazy weather, gorgeous light in Sacramento with clouds and rain in the East Bay, but luckily the coast had this late afternoon pocket of sunshine as the wind blew across the coast freezing us. Beautiful day with kite boarders and surfers along Half Moon Bay to Moss Beach. Kristy said she was up for anything, which is always what I like to hear as they played steps away from the high tide. Here’s a few of my favorites as a preview for the real deal to come later.